Hey folks, if there’s two things I love to write about it’s music and comedy, and that’s why I’m pretty stoked to be giving away tickets to two great events in both of those categories this week. 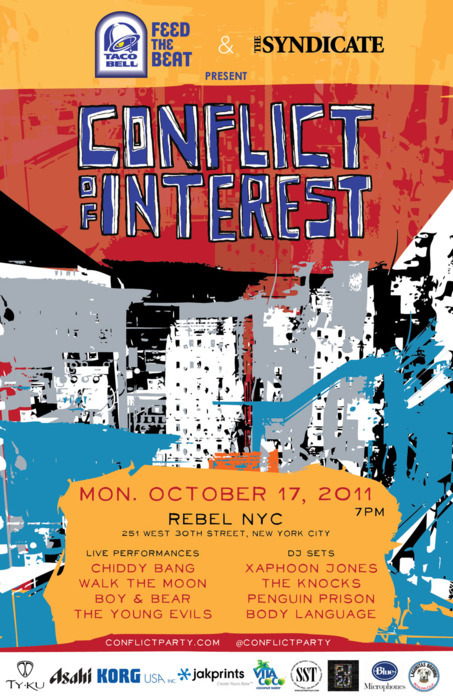 Tonight (Oct 17) is The Syndicate’s Annual Pre-CMJ Conflict Of Interest party featuring sets by Chiddy Bang, Walk The Moon, Boy & Bear, The Young Evils and a host of DJs. 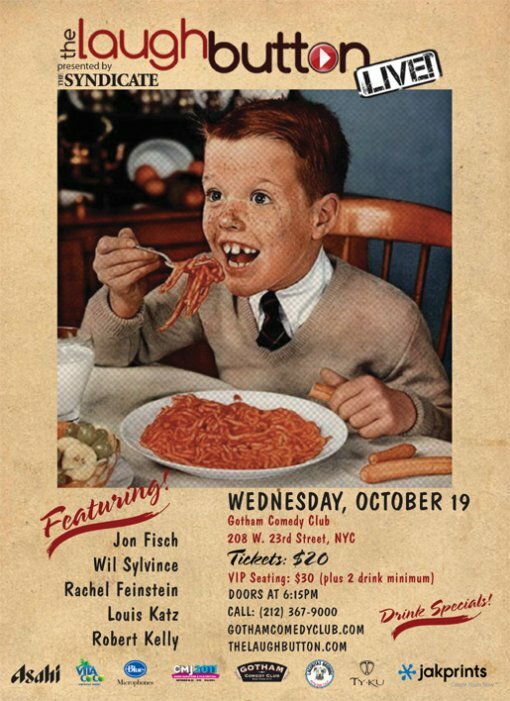 On Wednesday night (Oct 19) at Gotham Comedy Club, The Laugh Button will be presenting a very special showcase featuring Jon Fisch, Wil Sylvince, Rachel Feinstein, Louis Katz, and Robert Kelly. The winner of the contest will get a pair of tickets to both events. The Conflict Of Interest tickets include VIP admission (no standing in line with the plebes) with drink tickets. The Laugh Button Live tickets include a complimentary admission which also includes the two drink minimum. Fill out the contest entry form after the jump for a chance to win. Since the show is tonight, all entries must be received by 1PM today (Monday, Oct 17), the winner will be notified immediately.